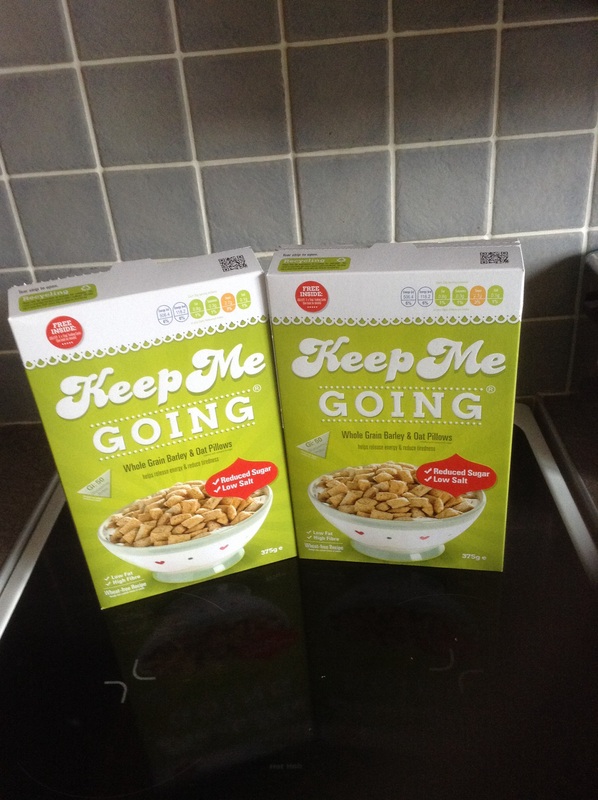 I have been given two boxes of Keep Me Going cereal to review and give my honest opinion. 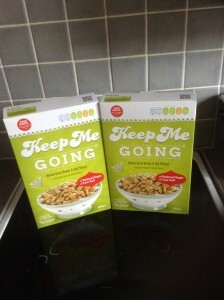 Freedom cereal ltd. have taken over 2 years getting this cereal the way they want it, a healthy yet tasty breakfast cereal. It is low in fat, high in fibre and with a Glycaemic index of 50. 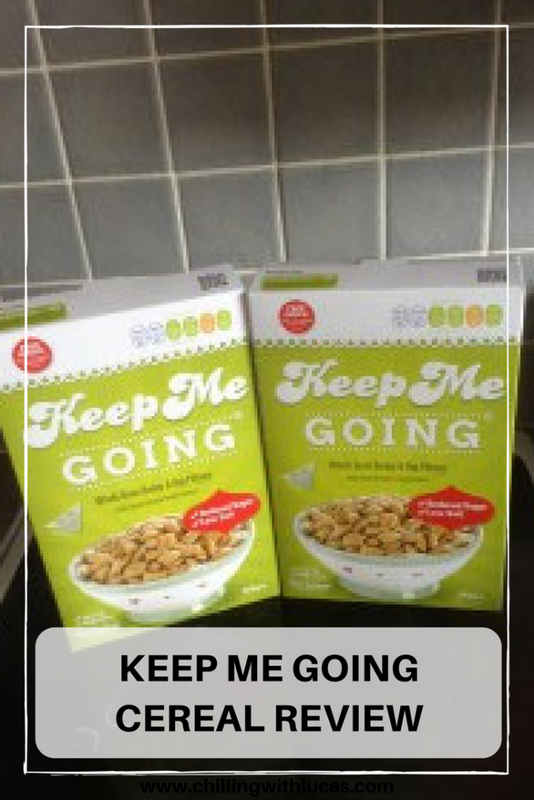 The little pillows are made of whole grain barley and oat which help release energy and reduce tiredness. 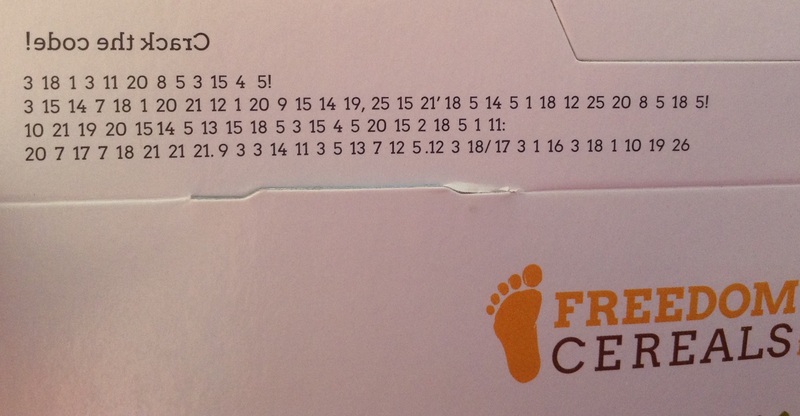 They have added vitamins, magnesium and biothin to support the immune system, fight fatigue and maintain healthy skin and hair. 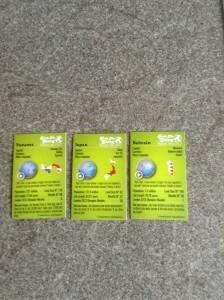 For children, there are a set of cards in each pack that can be used for trading with others. 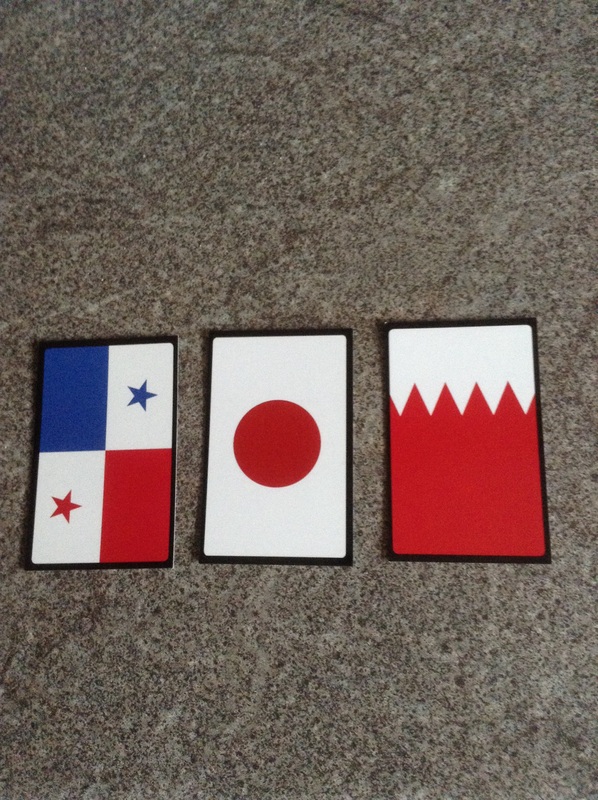 They are flags which have interesting facts and figures regarding the country. 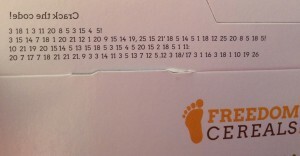 There’s also a hidden code on the top flap of the box which, if cracked, takes you to an off-menu page on their website with lots more information on codes and ciphers and another code to crack which leads to a further page; also, if you take the pack to pieces, you’ll find a couple of words of ‘Pig Latin’ on one of the flaps, which you might by then know how to read (way too complicated for me but hopefully Lucas will get his daddy’s brains). 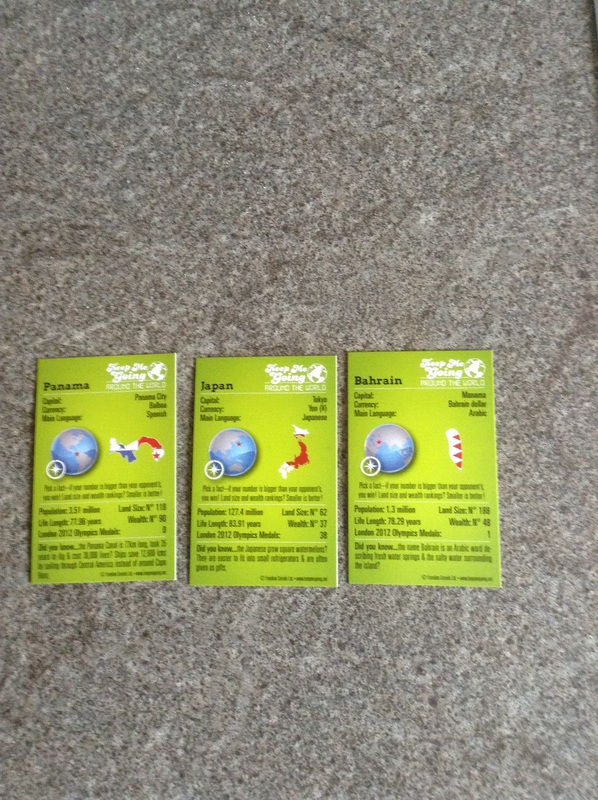 You can also print off a world map from their website to mark off the countries you have collected. 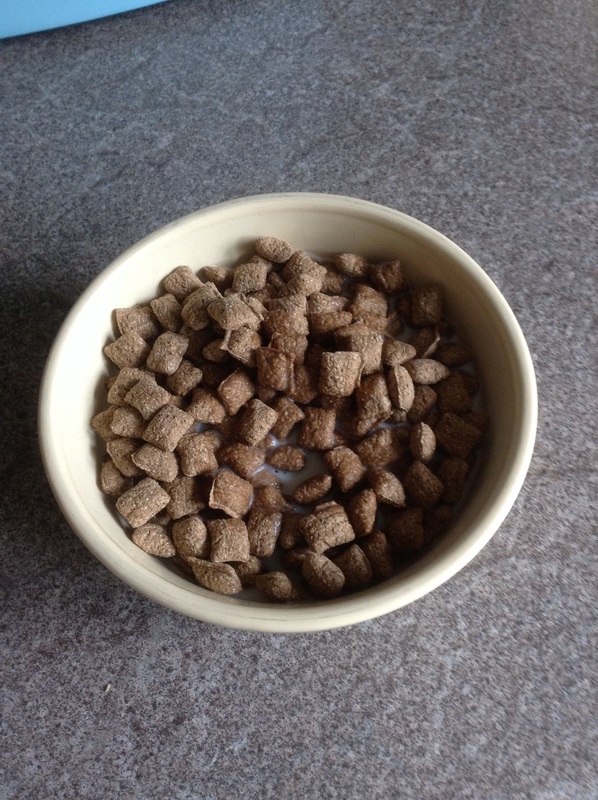 The cereal on its own is a little bland (with all the health benefits, it’s a small price to pay) but did keep me full until lunch time, without me needing a snack to keep going. 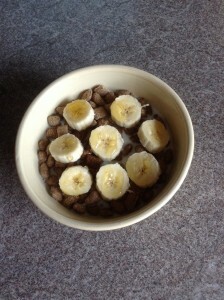 I enjoyed the cereal with warm milk, honey and a banana chopped up into it.